Instant Knockout is a fat burner originally developed to help Pro Boxers and MMA Fighters burn fat in time for a fight. This fat burning supplement is now available to guys in Australia who want to burn fat, fast. Instant Knockout contains a mixture of 10 of the most powerful naturally occurring fat burning substances, without any need for harsh synthetic chemicals. Plentiful scientific research has been conducted in order to carefully decide upon the following ingredients to combine for a powerful effective formula. Green Tea – Green Tea is highly regarded in the health industry and widely renowned for its metabolism boosting effects, thanks to the powerful antioxidant EGCG. A lesser known effect of Green Tea is that it can improve endurance for exercising. Burning carbohydrates slower results in the ability to exercise for longer and thus burn more calories. Cayenne Pepper – Cayenne Pepper is another natural aid that will boost your metabolism. Upon consuming this spicy pepper, your body temperature will rise, causing your body’s regulatory systems to work harder to cool down, using energy and hence burning calories in the process. In addition, capsaicin, the active component of chilli peppers has been found to suppress appetite by decreasing the amount of ghrelin, the hunger hormone, found in your system. Glucomannan – A natural dietary fibre that helps to suppress appetite, overeating and snacking. Fibre plays an important role in the digestion process, swells within the stomach to give a feeling of fullness and is often lacking in an average diet. Soluble fibre such as this has also been shown to reduce the sharp rise in blood glucose after a meal. Caffeine – A powerful stimulant within this formula that combines effectively with green tea and cayenne pepper to enhance the overall metabolism boosting effects. Caffeine has the ability to break down body fat already been stored in fat tissue and slows down the drop in blood sugar levels, meaning you feel less hungry. When taken before exercise, caffeine has shown to make the conversion of fat to energy more efficient. Vitamin B6 – Supports muscle growth by improving the absorption of amino acids and protein within the body. Vitamin B6 helps to keep the metabolism high thus burning excess fat as well as stimulating the thyroid gland, the gland responsible for regulating weight loss. Vitamin B12 – An important vitamin for the functioning of the brain and nervous system. Like all other B-Vitamins, this helps the body effectively convert carbohydrates into glucose, making more glucose readily available to burn and thus creating more energy. 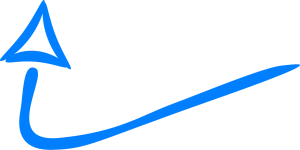 GTF Chromium – A trace element that promotes the role of insulin in your body; to regulate blood sugar levels. Thus, avoiding highs and lows in energy levels and instead creating a balance. GTF Chromium works by aiding the transportation of glucose, amino acids and fatty acids into cells. It also helps protein synthesis and reduces fat levels in the body, hunger pangs and sweet cravings. 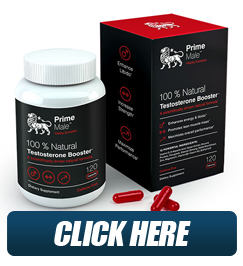 Zinc – Zinc is an important mineral for maintaining healthy levels of testosterone. Some studies also suggest that Zinc is useful in combatting obesity and helping to burn fat. Piperine – The active compound found in black pepper has been proved able to block the formation of new fat cells. Piperine works well within this formula by increasing the bioavailability of a wide range of nutrients, including Instant Knockout’s fat-burning ingredients. Green Coffee Bean -Coffee beans in their raw state are naturally green in colour. Green Coffee Bean is an extract from these unroasted beans. This extract is extremely rich in Chlorogenic Acid which reduces the amount of glucose that is able to form in the liver and also lowers body weight and body fat percentage without any significant changes to food consumption. The dosage for Instant Knockout is 4 capsules, 4 times a day. You should take the supplement with water to speed up absorption rates and stay hydrated. Instant Knockout is 100% natural. There are no nasty chemicals added or obscure lab-created ingredients. It is a pure, clean, herbal supplement that you can be confident in. There are no reported side effects from the combination of ingredients here and so you can be confident it is completely safe to use. 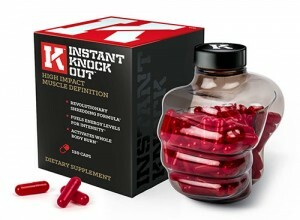 Instant Knockout can be bought online and delivered worldwide at the official website, www.instantknockout.com. We encourage to buy at the official sellers retail page to guarantee a genuine supplement of the highest quality. Should You Buy Instant Knockout? Do you want to burn fat, fast? If the answer to the above question is YES, then this product is for you. 18 years and above, fit or not, male or female, this product is designed in such a way that it will help anyone and everyone to remove unwanted fat. Instant Knockout offer a 90-day money back guarantee for your satisfaction. What do you have to lose, except fat? Ordering is safe and secure through the official website.